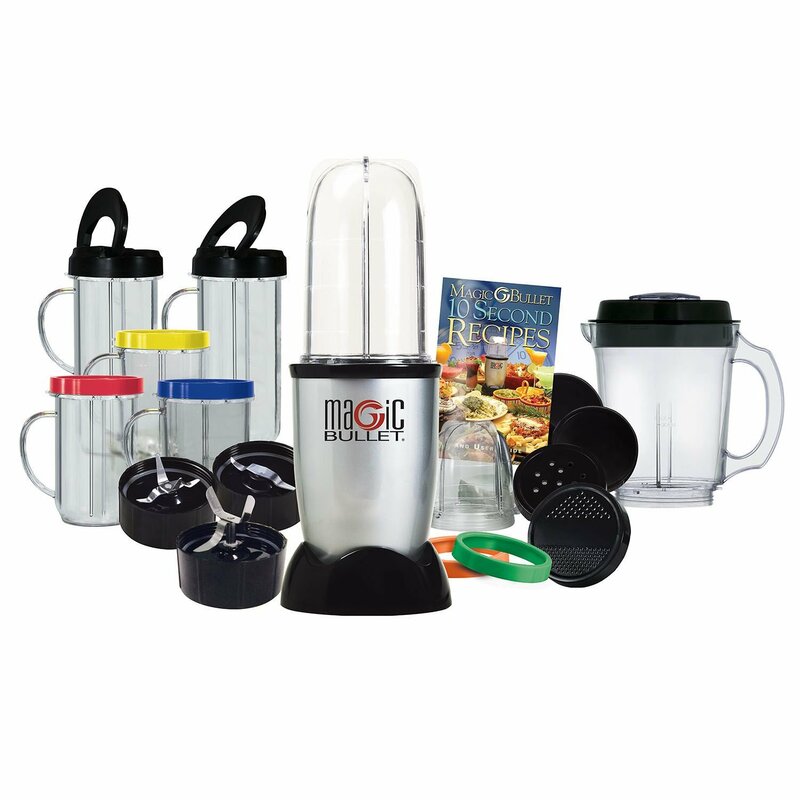 In our Magic Bullet reviews we look at the Magic Bullet Deluxe. As a personal blender the Bullet works well for smoothies and easy items just don’t look to replace your full size blender. I’m sure by now everyone’s heard of the Magic Bullet Deluxe blender from their advertising. It looks really cool on the infomercial and is a neat concept. Blend what you want in a cup and take the cup right along with you. Most people seem to really love the Bullet at first, then over time, as we read in a lot of the consumer reviews, people start to have problems. There were many reports of engine failures and breakages. Most of these are covered under the one year warranty offered by Magic Bullet, however it sounds like from the reports that customer service is really horrible to deal with. As far as personal blenders go, the Bullet is not a bad buy. You just have to realize that it cannot handle large, difficult to blend items, like big ice chunks, nearly as well as a full size countertop jar blender. We rated the Magic Bullet Express at number 4 on our list of the best personal blenders. 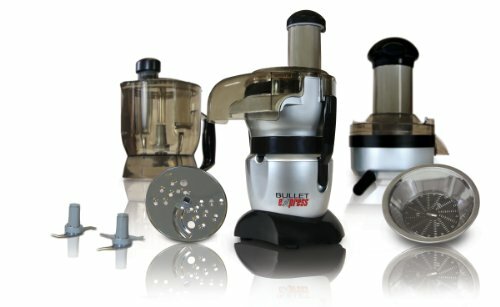 The Magic Bullet Express and the Deluxe have the same engine and most of the same accessories and it’s about $10 cheaper. You can read our full Magic Bullet review of the Express model. If you have been watching television, you may have seen the commercials on Gyro Bowl . For some who didn’t happen to see the commercial, it is a food container for kids that has been designed to be 100% kid-proof. This is kid-proof in such a way that your kids will not be able spill food and at the same time, they will not be able to destroy. In our Magic Bullet Express blender review we talk about the convenience that makes this brand so good and the low quality that makes us question buying this blender. What are your favorite protein shake recipes that help you recover from workouts, give you more energy, and taste good? Add them here, and see what shakes others have added. Every player and sports enthusiast has their favorite blend of protein drink to make them bigger, stronger, faster, or just help them get through the day. What types of shakes do you like to blend up? What ingredients do you like to add to the brew; peanut butter, a carrot, raw eggs? Do you like to boost your shake up with protein powders and supplements? If so, which ones are the best? The market is filled with supplements and various off-the-shelf protein drinks. Entire stores like GNC in the United States are dedicated to this market. You can off course buy a ready-made protein shake mix, or make your own, or do both. If you have a special blend that you think really tastes good and gets the job done, let us know using the form below. Under the form you’ll find the best protein drink recipes ranked by our editors and visitors to this site. What Is The Best Protein Shake Recipe? Let us know what shake you think not only helps improve your performance but also tastes good. If you like adding a supplement to your protein shake, name it, tell us where you bought it, and for how much. If you play a sport, let us know which one, and how this protein shake helps you perform or recover better. What is A Blender? is a question you may ask if you’re new to the kitchen or looking for ways to make cooking easier. A blender has numerous benefits. When you say the word blender, typically one thing comes into people’s minds; a rather medium sized appliance that is sitting on top of a kitchen counter. There is a spouted container as its main component, held into place by a base. This base has a number of different buttons and switches on it, to allow you to customize its use for your particular need at the time. There is a removable lid, so that you can empty various ingredients into the main container for blending purposes. This is the blender that people know and love. But exactly how does a blender work anyway? And just what does a blender do? Well, depending on the model you get this answer can vary slightly. Basically, blenders can take ingredients that are added into the container and mixes them together by chopping them very rapidly into a number of tiny little pieces. There is a very sharp, two-sided blade at the bottom of the container you place your ingredients into, which does all of the hard work for you. All you really have to do is press a button or two to determine the amount of blending you actually want to occur and at what rate of speed. There are some studies being put forth to suggest that using a blender might be healthier for families, as long as the ingredients you are blending are in fact healthy. This is based on the fact that a blended mix is more concentrated. When you drink the mix, it can give you a more direct amount of the vitamins and minerals that are available in a variety of healthy foods. So if you don’t have a blender, you might consider getting one, as studies are starting to prove how much they can help your health. Knowing the basics about blenders and being able to understand what a blender is and how it can help you and your family will certainly be helpful when you head out to look at appliances in the near future.